for your successful start in 3D modeling. and be notified whenever new content is available. Modeling is usually your first stop when entering the world of 3D – but that doesn’t mean it’s easy to learn. 3D Modeling is a complex skill that requires consistent effort to master. Yet, at the same time, it’s also a fundamental building block for starting your CG journey. Understanding three-dimensional modeling is crucial for straightforward Texturing, Rigging, Animation, Rendering, and 3D Printing. Thankfully, there are ways to avoid common problems and accelerate your growth at the same time. One of the best methods is to study completed projects from established CG professionals. Because doing so allows you to easily compare their work with your own. Thereby acknowledging your strengths while simultaneously highlighting where you need to improve. Creating natural-looking human characters is often a painstaking process. However, having solid reference material available can make the task easier, faster, and typically produces better results. Whenever you come across quality three-dimensional models, take advantage of them. Open them up using the 3D software of your choice and study each detail carefully. Take special note of where you see major differences between the artist’s rendering and your own. These hidden gems will increase your knowledge base and help to fast-track your progress. Place both side-by-side directly in the viewport and compare them in 3D. This allows for a quick quality check and helps to uncover areas that need additional work. Pro Tip: Remember that the purpose of comparing is NOT to copy elements from the reference. Instead, comparing (as the name implies) allows you to get a feel for how much additional effort is needed to match professional standards. 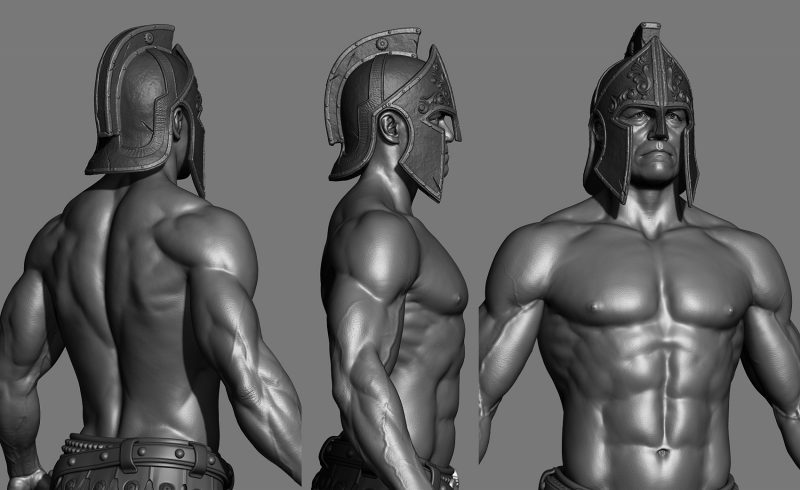 The Gladiator is built from scratch according to the 8-head-proportions rule for idealized figures. Simply put, this rule says that an average-sized person is approximately 7-and-a-half heads tall. When creating a figure that symbolizes nobility or grace, this number is increased to 8-heads. Why? Because doing so gives a more favorable impression of strength, size, and power. Keep in mind that these values are not set in stone. However, they can be used as general guidelines for creating a well-balanced human figure. Pro Tip: For an easy comparison, take screenshots from different angles and place them on separate layers in Photoshop. Granted, anatomy is the blueprint of the human body, but the actual sculpture is represented by a complex interplay of shapes and volumes. These elements are what bring organic shapes to life. Keep an eye on these interactions and the rhythm they create. Over time, you’ll recognize these patterns and begin using them naturally throughout your work. Pro Tip: When it comes to character modeling, a profound knowledge of human anatomy is crucial. Yet, information alone is not enough to create great sculptures. Building strong forms should be the most relevant goal of your studies. Otherwise, increasing your anatomical knowledge serves no purpose. Generating sketches is a great way to improve your artistic skills. After all, you’re creating for pleasure without fear of getting bogged down in the details. But once you’ve decided where to take your model, it’s important to finalize it. Refining and including the finishing touches are where a large portion of your growth comes from. 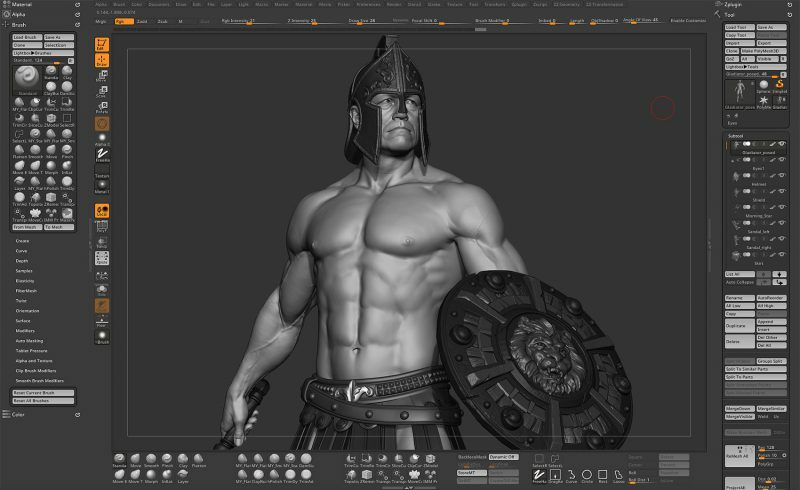 The Gladiator gives you an idea what a finished digital sculpture looks like. Observe how the clean mesh and small surface details complement the work. Pro Tip: Add accessories to your model and use them to tell a story (people love stories). Consider including posture and expression as well. All of which are great strategies to go beyond a plain anatomy study. Use the basemesh as a foundation for your next sculpting project. Reuse his helmet, skirt, shield, and weapon. Implement these accessories into whatever your creative mind comes up with. Pro Tip: Don’t be afraid to make mistakes. One of the major advantages of working with digital tools is that you can always return to where you started. So, keep experimenting to find out what works (and what doesn’t). Now it’s your turn. Be inspired and go create your own unique 3D characters. 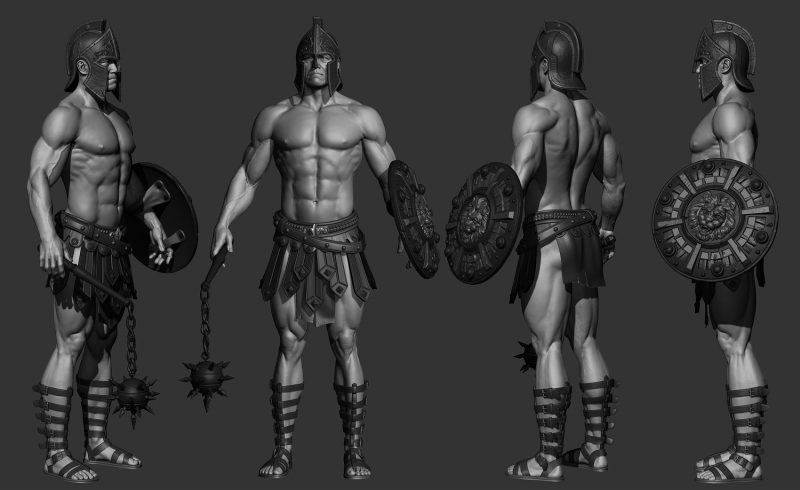 Use the Gladiator and become a better sculptor with every battle you fight! 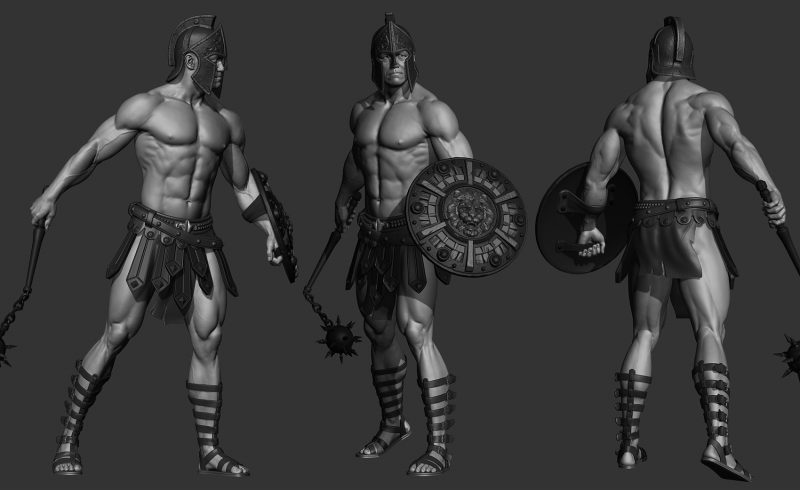 What Does the 3D Gladiator Package include? After completing the “Subscribe + Download” form above, you’ll get instant access to the reference files through a link sent directly to your email. Once your account is registered, you can download the Free ZIP file anytime you want. After saving it, extract the ZIP file to the destination of your choice. The unpacked file contains 5 folders named: 3DS, FBX, MAX, OBJ and ZTL. 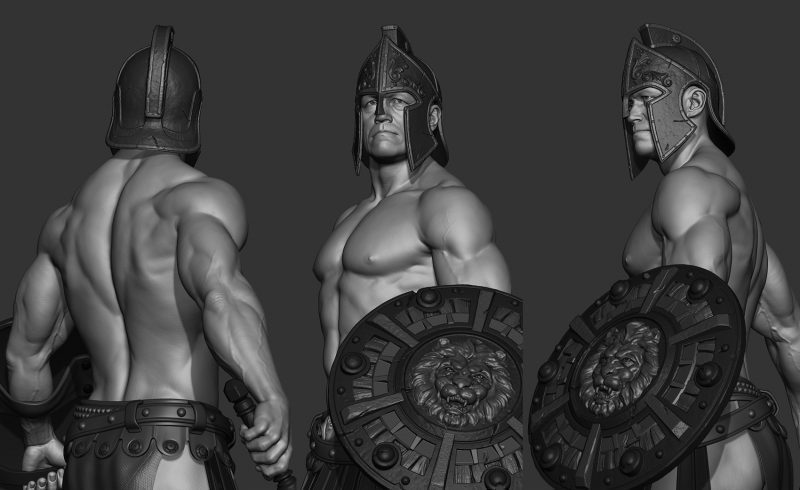 In the ZTL folder are the two original ZBrush files of the Gladiator. To open them, version 4R8 P2 of ZBrush must be installed on your computer. Gladiator_T-Pose.ZTL consists of 19 million polygons and contains the body in relaxed T-pose with accessories attached as separate subtools. Except small surface details, the body is symmetrical. Polygroups and subdivision levels are available and intact. The basemesh has no UVs. Gladiator_posed.ZTL is the same as the T-pose file, except that it’s manually posed. The MAX folder contains two 3ds Max scenes with a low-res version of the posed and the T-posed mesh. To open it, at least 3ds Max 2013 is required. In the OBJ folder you will find a decimated version of both the posed and T-posed Gladiator. The total polygon count was reduced from 19 million to approximately 1.5 million. The folder also has two low-res files with retopologized gear included in them. The FBX and 3DS folders both contain the same two low-res meshes with retopologized gear that are available in the OBJ folder and the 3DS max file. Feel free to import the mesh into Maya, Modo, Blender, Sculptris, Mudbox or any other 3d software you are working with. What Am I Allowed to Do With the 3D Model and How Is the Subscription Used? The reference files are FREE to use – and except for reselling – you can use them however you’d like. Or use the basemesh to create your own character sculpture. Again, your subscription is completely FREE, and you can unsubscribe or update your preferences at any time. Every email you receive from 3DGladiator.com includes these options. Any information provided is kept strictly confidential and will never be shared or sold to outside parties. We respect your privacy and promise to keep the number of messages to a minimum. You’ll get notifications only when new content is available or important news needs to be shared. 3D Gladiator offers easy-to-use tools and expert guidance – all rolled into a single platform independent application. 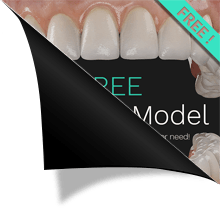 Helping you to build your portfolio and create stunning 3D models faster than ever before. Get started today and be sure to tell your friends about your commitment to becoming a successful CG Artist. Click the link below to share your exciting news!